Nora Abbott’s best friend is dead. As Nora investigates the suspicious death in the desert of southern Utah, she uncovers the dark past of a polygamist sect. When Nora’s best friend, a film director, dies in a hiking accident, Nora suspects foul play. Could a controversial film project have played a part? Intent on finding out, Nora struggles to piece together the truth. What she finds is shocking. What is the connection between a secretive polygamist sect, Native American lore, one of the world’s richest men, and her own mother’s surprising past? Her race to weave together these seemingly unrelated threads leads Nora into harm’s way. She soon finds herself at the dangerous crossroads where ancient prophecy, modern political ambition, and desperate fanaticism meet. In the stark Utah wilderness, long-held secrets come to light. But can Nora unmask the killer in time to prevent disaster? Murder, polygamy, Native American culture, and mystery combine for an exciting novel. 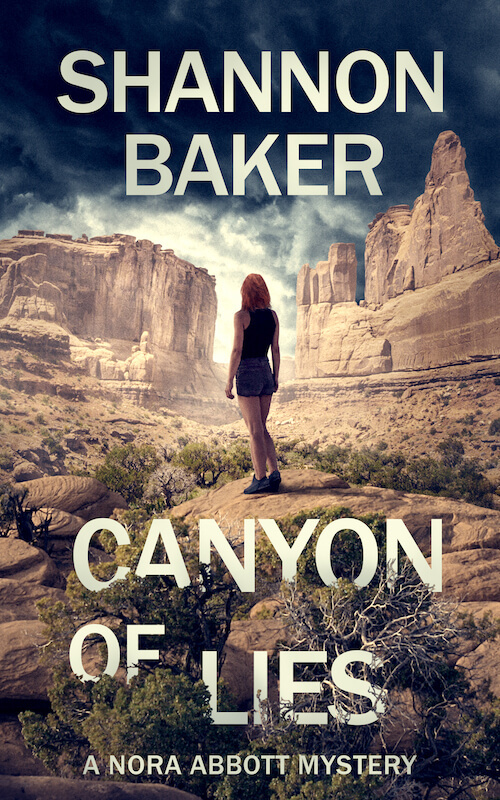 Canyon of Lies is the third of the Nora Abbott mysteries.